Botswana is a unique and magical destination. Home to some of the greatest wildlife on the planet, Botswana is one of the most sought-after destinations for African safaris. From deltas to deserts, the ecosystems of Botswana and their inhabitants are awe-inspiring. While in Botswana, make sure you visit the Okavango Delta, one of Africa’s most iconic landscapes. During the wet season, this area provides spectacular nature sightings. 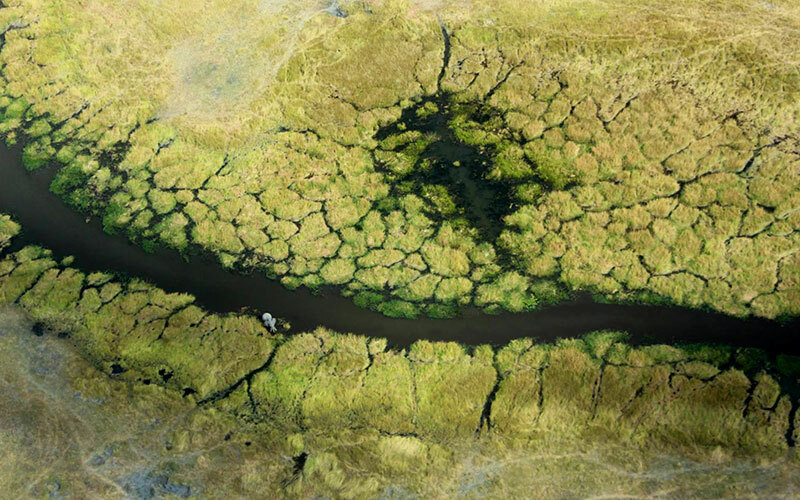 The Okavango River begins in Central Angola and flows southeast until it branches out into a 9,300-square mile maze of lagoons and channels: the Okavango Delta. Here, wildlife congregates in amazing variety and numbers. If you get the chance, enjoy a ride in a mokoro—a traditional wooden dug-out canoe that usually accommodate two guests and a poler. While the poler does all the paddling, you can focus on the wildlife around you—so be sure you have your camera ready! Other great ways to experience this magical place include safari game drives, helicopter excursions, or even just watching the wildlife from the comfort of your safari lodge’s outdoor terrace. No matter what you choose to do, the Okavango Delta provides a truly unique and inspiring safari experience. Another iconic African landscape found in Botswana is the Kalahari Desert. 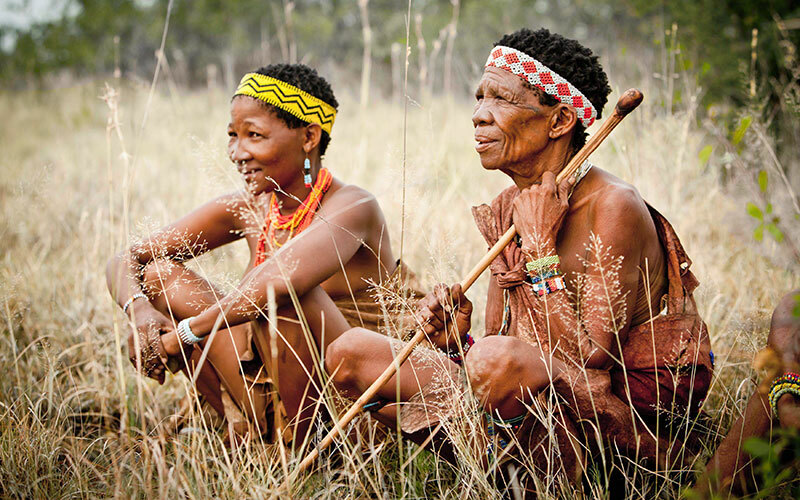 Covering 85% of the central and southwestern areas of Botswana (as well as some parts of Namibia and South Africa), this semi-arid region is home to rich red and brown sand as well as surprisingly lush areas.The locals here descend from an ancient bushmen culture, the San, who have called the Kalahari home for millenia. 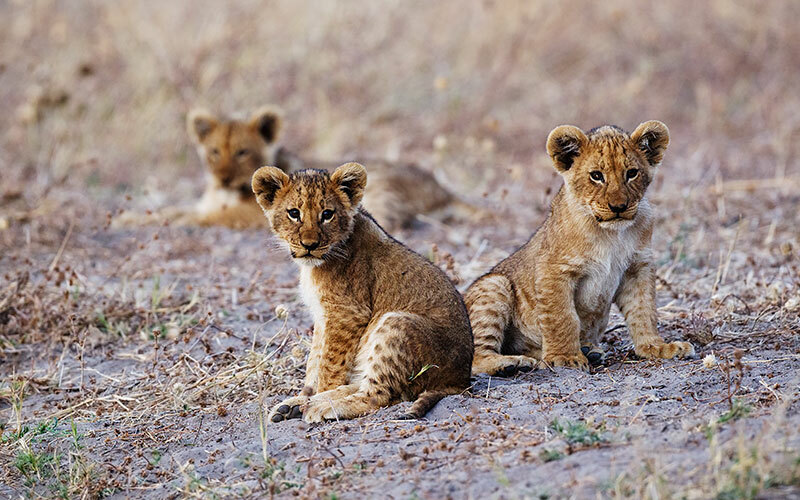 As we’ve touched on before, much of Botswana is protected and home to an awe-inspiring amount of wildlife. 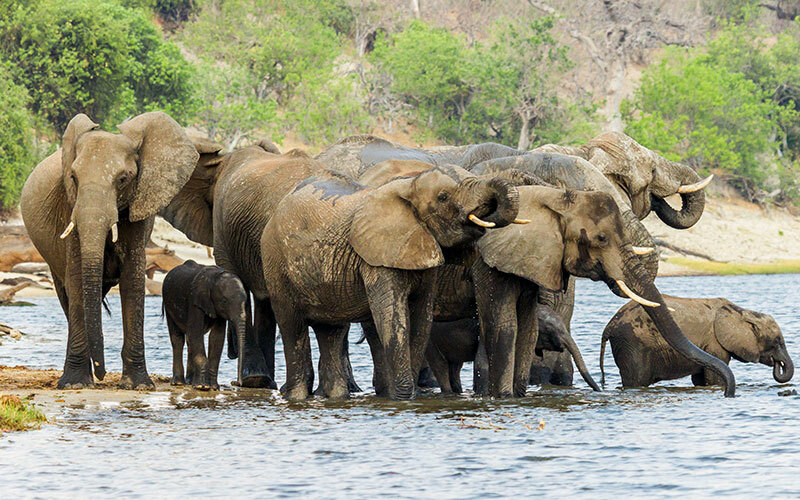 One of the best places to take it all in is Chobe National Park in northeastern Botswana. Chobe was the first national park ever established in Botswana, beginning as a wildlife reserve in 1930 and gaining national park status in 1968. Here, you’ll find an enormous elephant population, along with plenty of other wildlife species. It’s no wonder that Chobe National Park is one of the most popular safari destinations in Botswana. Are you ready for a wildlife adventure like no other? Call us at (888) 367-0933 today to start planning your trip, or take a look at our Botswana safari packages online!